As a product based business owner, you need to keep on top of manufacturing. Make sure you get the right specifications to the factory, ensure quality control procedures have been outlined, have your logistics in order, and repeat and scale this operation up. 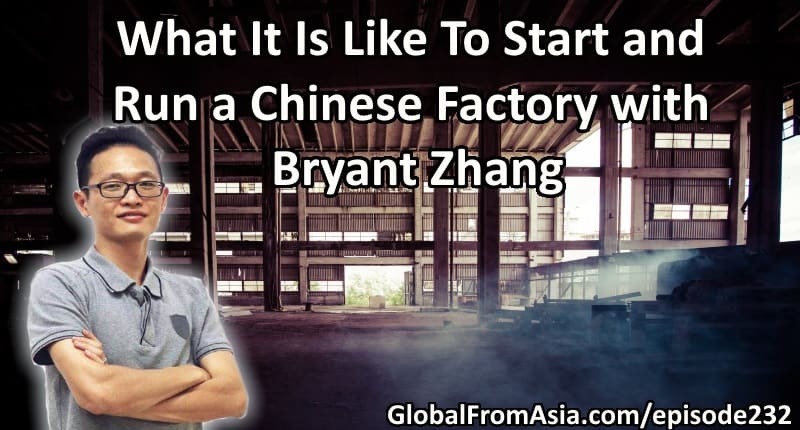 Our library of podcasts and blogs about Chinese manufacturing, and expanding to manufacturing in South East Asia as well as USA will keep you learning all you can want! Learning about manufacturing. 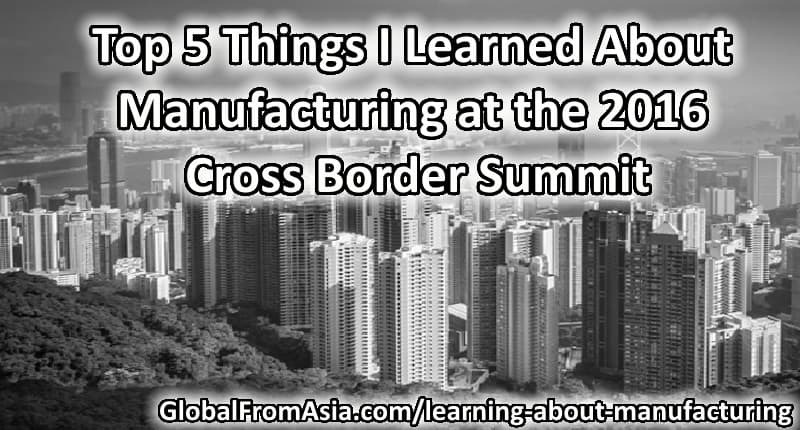 The world may be going global but we’re still challenged by old fashioned borders—that’s how international entrepreneurs behind the 2016 Cross Border Summit described the mission of the event. The 2016 event welcomed international business leaders from multiple countries, with an emphasis on cross border commerce in China. GFA232 + GFAE Bonus Announcement. Welcome to this week’s show, loyal listeners! Today we brought Bryant Zhang, co-founder of Ennoplus factory. They are a manufacturer and designer of solar powered outdoor LED lights. I am inside the factory to do this show, and discuss some insights of how they started and grew so fast. 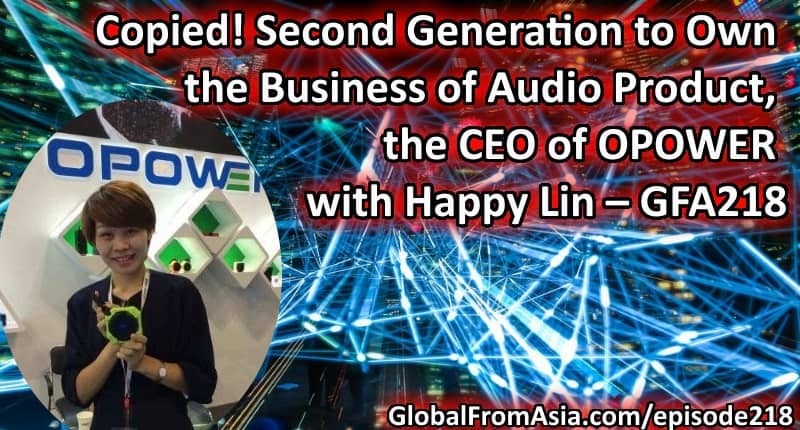 For full show notes, check out GlobalFromAsia.com/episode232. GFA221. This guest is our supplier in the e-commerce gladiator series – Para Living Inc, who will give us some insights about the differences in manufacturing in Vietnam vs China. 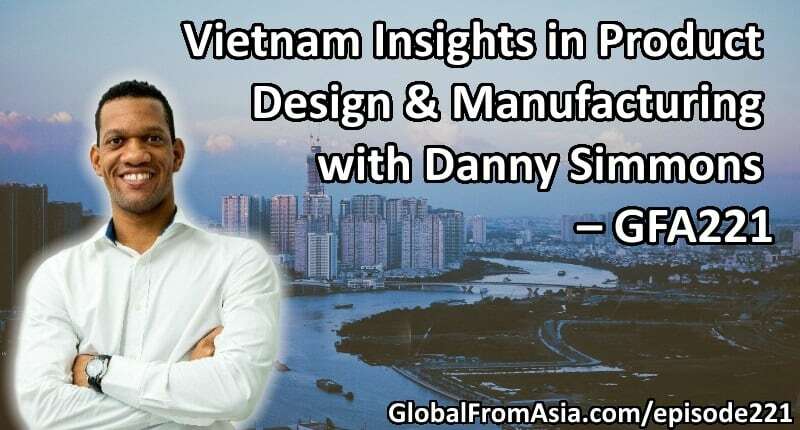 Talking about Vietnam manufacturing is Danny Simmons who was also introduced to us by our last week’s guest- Fredrik. GFA220. Today we are talking about fun stuff – product certifications and regulations! 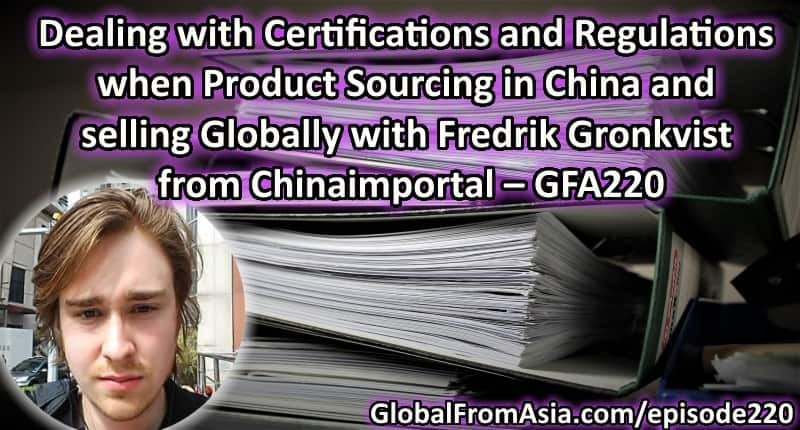 Today’s guest is Fredrik Gronkvist who is an expert in the product sourcing world as a founder at China Importal. For full show notes, check out GlobalFromAsia.com/episode220. GFA218. This week we have Happy Lin! She is a second generation business owner of a factory here in Shenzhen. This show has an interesting discussion about how foreigners copied her! She shares in this podcast how she was copied by buyers and how she innovated. For full show notes, check out GlobalFromAsia.com/episode218. Our featured member today is a 25-year old Canadian entrepreneur who is CEO of a manufacturing consulting company – Source Find Asia. 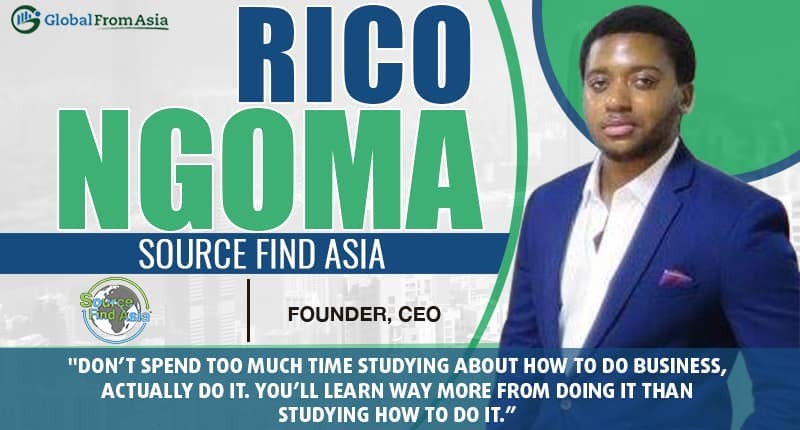 Aside from being a CEO, Rico Ngoma is also a podcaster and a vlogger who moved to China 3 years ago directly after college from Toronto with a dollar and a dream to start his own business. GFA202. We have listeners asking, and we are providing! Taiwan has been a topic that many are curious about, the corporate structure, the “scene”, and other fun facts. So this week, we are delivering. We have with us a guest I met at the Cross Border Matchmaker, Kara Atchison who is an American business woman based in Taiwan. She will talk about Leveraging Taiwan for Business as well as some tips and strategies for sourcing from Chinese factories. For full show notes, check out GlobalFromAsia.com/episode202. GFA192. 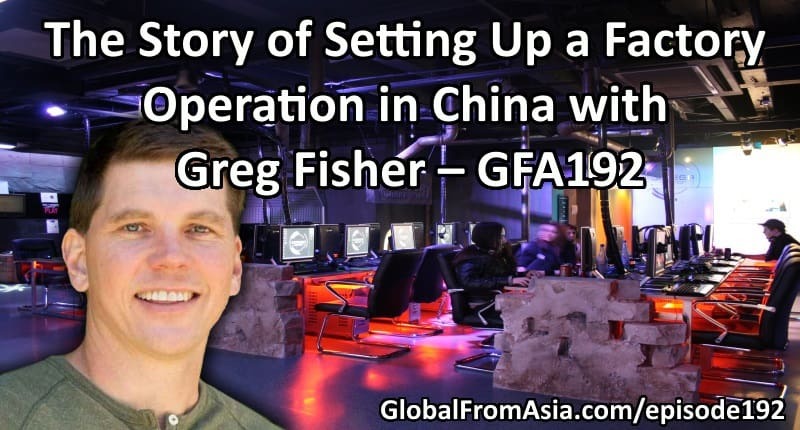 In today’s podcast, we have Greg Fisher to speak all about China factory operation. He has created an amazing hardware community called Hardware Massive which is a global network of makers where I have had the pleasure to speak at a couple times and really enjoy the people in the community. For full show notes, check out GlobalFromAsia.com/episode192.